For years, this place was a hamlet with nothing but a petrol station. With the publication of Ton van der Lee’s book about life in Solitaire, the village became more famous. Much has changed since then. After the emergence of a hotel, the village expanded further. 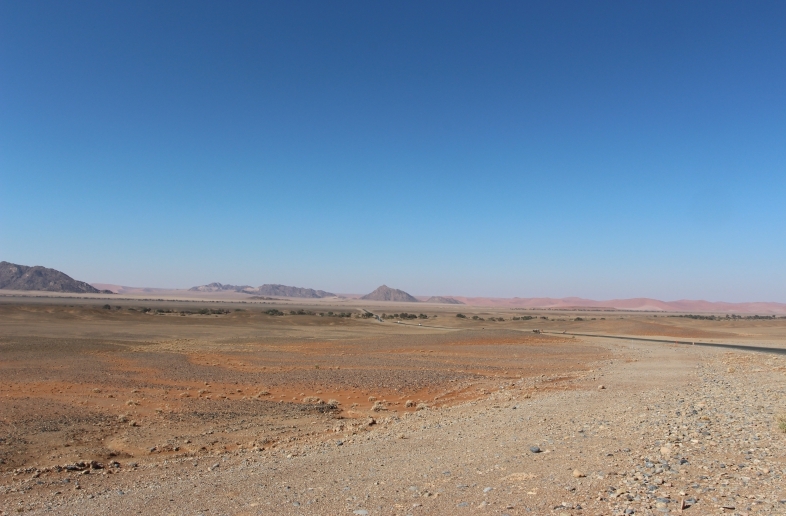 Solitaire is the only village with a petrol station and a post office between the dunes of the Sossusvlei and the coast near Walvis Bay. 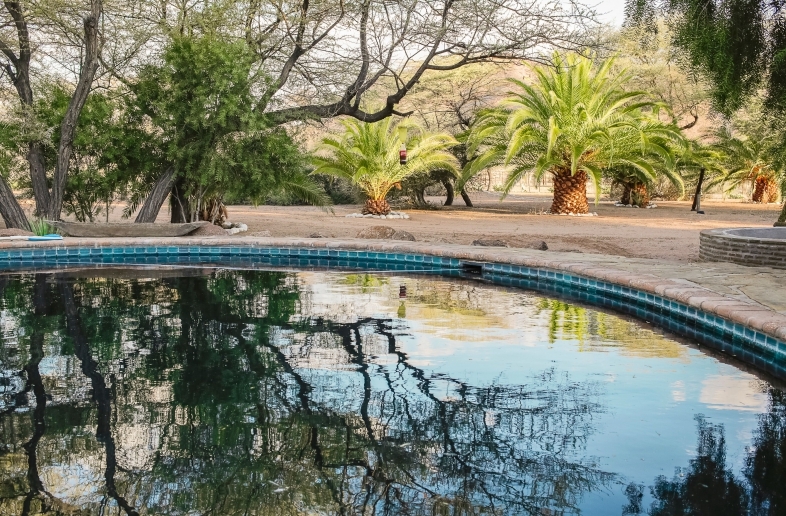 This makes the village a convenient stop for self drive travellers in Namibia. Because the village only has about a hundred inhabitants, the increased tourism makes it a great place to stay. You can try the famous Moose cakes at the bakery or have a drink at the cafe. See all our self drive 4×4 trips to Solitaire below. An oasis of palm trees in a dry environment.